Note: this op-ed presents only the opinion of the author and is not an endorsement from the McGill Journal of Political Studies nor the McGill Political Science Students’ Association. Read all of our Quebec Election coverage here. The 2014 Quebec general election marked the first time I became politically engaged. Although I was just 16 and not yet old enough to vote, I did feel old enough to learn about the issues at stake in my province and discuss them with friends. My history teacher clearly had the same thought, because he divided our class into five teams to represent the major parties (so long, Option Nationale) in a research project and mock debate. After all of this, I had a pretty clear idea of what each party stood for. So, when election night came around, I knew who I wanted to see win: the Parti Liberal du Quebec (PLQ). The night turned out all right for me, since the PLQ won a majority in the National Assembly. The party has been in power for most of the past fifteen years, except for a brief Parti Québécois (PQ) interlude that lasted 18 months between 2012 and 2013. However, polls have indicated that Quebecers might now be ready for a change in government. As a Liberal voter in 2014, even I can recognize that, if the Liberals were to lose the election on October 1st, they would leave behind a mixed legacy. According to a Laval University study, the Couillard government fully fulfilled 69% and partially fulfilled 23% of its 2014 campaign promises regarding education. Of these promises, most were fulfilled within the past two years. In the critical arena of education, the Couillard government has had mixed success. The government failed to eliminate jobs at the Ministry of Education and to invest $187.5 million into more services for students, among other broken promises. The government’s various austerity measures regarding education provoked anger in the population, leading to a 20,000 person walk-out in September 2015. Despite some budget cuts, the PLQ also fulfilled many promises. For example, the government invested in homework assistance programs in primary schools, and in the use of better technology in schools. The other most prominent ministry during the Couillard years was the Ministry of Health and Social Services. During the 2014 campaign, the PLQ promised a $1.3 billion budget cut to the department during the first two years of Couillard’s mandate. Following these two years, the ministry imposed another budget cut, this time of $242 million dollars. Gaetan Barrette, the minister of Health, was also criticized for raising the salary of medical specialists while failing to improve the work conditions of nurses and other health professionals. However, the government respected the vast majority of its promises regarding social services, including the creation of anti-bullying campaigns. Furthermore, more Quebecers have access to a family doctor now than in 2014 (80% versus 70%), and the average waiting time in the emergency room has dropped from 17 hours in 2014 to 14 hours in 2018 (which is arguably still too high). 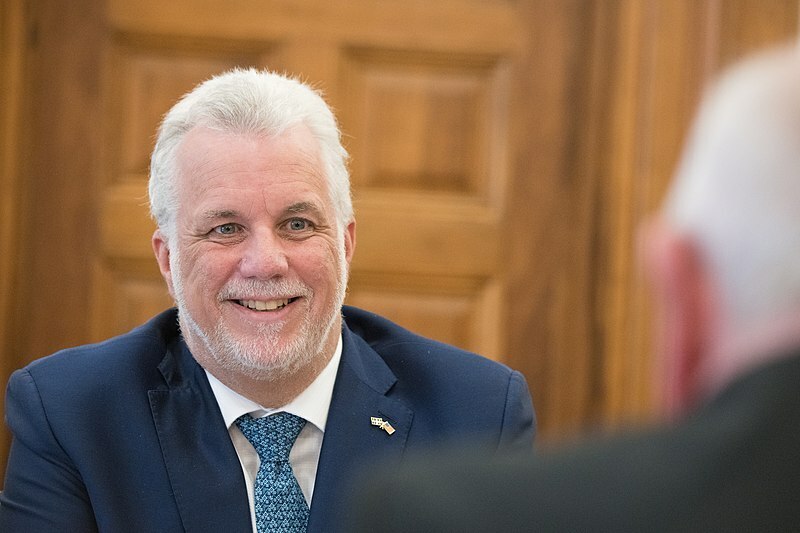 Overall, according to the Laval University study, the Couillard government has achieved (at least partially) 80% of its electoral promises during its four years in power. In comparison, the 2012-2013 PQ government achieved only 60% of its promises. However, Couillard’s impressive promise-filling track record may not be enough to get re-elected. Since the start of the election campaign, polls have consistently suggested that the Coalition Avenir Québec (CAQ) is likely to form government for the first time in the party’s history. That said, a Liberal minority government is not out of the question. When I received my absentee ballot two weeks ago, I had to make a decision on who to support in this election. Unlike most Quebecers, I couldn’t use the campaign to help guide my vote as I am out of the country and had to send my ballot back several weeks before election day. Therefore, I relied on the Liberals’ track record to make my choice. After looking at what the PLQ had (and had not) accomplished in the past four years, and what the three other major parties were proposing, I cast my vote for the Liberals. However, although I will vote for the PLQ, I do so reluctantly. While I was ecstatic with a Liberal majority in 2014, I now believe a Liberal minority is the best scenario for Quebec in 2018. Realistically, only two parties have a shot at winning on October 1st: the CAQ or the PLQ. While Jean-François Lisée and the Parti Québécois have campaigned better than most anticipated, they are only expected to receive around 20% of the vote. Québec Solidaire, the other major party in Quebec, has an expected vote share of 15%. For me, the CAQ’s immigration platform is enough to confirm that they should not be given a mandate. The party wants to limit immigration in the province to 40,000 per year (the cap is currently 50,000). They also plan on making immigrants take a ‘Quebec values’ test, and expelling those who fail the test. When asked a basic immigration question on how long it takes to become a Canadian citizen, party leader François Legault failed to correctly answer. If you ask me, electing a party that has an anti-immigration platform while simultaneously lacking elementary knowledge on the topic is not a smart idea. Considering that many regions of the province are actually in need of more immigrants, Legault’s plan seems like an especially vapid idea. Even without considering the PLQ’s credits, it is evident that a CAQ government must be blocked. Couillard and his MNAs have made multiple mistakes over the past few years, and on the campaign trail this past month. For example, Couillard’s declaration that a family of three could eat for a week with only $75 was rightly ridiculed by the other parties and the public. Furthermore, many of his policies are still unpopular in the province. However, the party has proven its capacity to govern efficiently, evidenced by the high number of promises achieved in the last mandate. Couillard also announced earlier during the campaign that Barrette, one of the more divisive members of his Cabinet, would be replaced as health minister by Gertrude Bourdon. This comes after many other ministers chose not to seek reelection, meaning that a Liberal cabinet would be different this term. Perhaps this could offer the change sought by Quebecers this election. Despite my ballot support for the Liberals, I believe that a minority government would be an even better option than a Liberal majority. It would force the Liberals, who have been somewhat complacent over the last four years because of their majority, to cooperate with the other three parties. It would give Québec Solidaire a bigger role in the National Assembly, which it has not had in the past, and would give the PQ a better chance of achieving some of its campaign goals. And hopefully, a minority government would restore collaboration between MNAs across party lines, something that has not happened in the last four years. Ultimately, I hope that my vote for the Liberals adds to a pile of ballots just big enough to create the best option for Quebec right now: a PLQ minority. Feature image by the US Department of Agriculture, via Wikimedia.